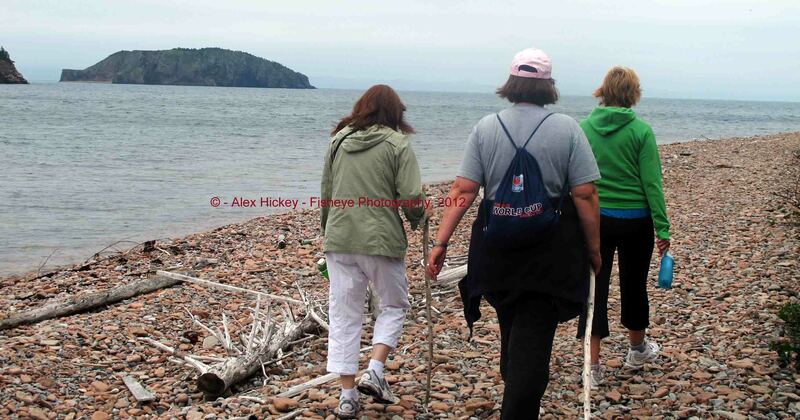 During the first two weeks of August 2012 the town of St. Jacques-Coomb’s Cove hosted a Come Home Year or Homecoming Year as others might call it. For those who don’t know, St. Jacques-Coomb’s Cove is a town comprised of six distinct communities on the north side of Fortune Bay. It was incorporated in 1971 when the communities voluntarily agreed to work together as a single entity yet retain all of their distinctiveness. The town derives its name from the communities which sit on its east and west borders. During this Come Home Year each of the communities, St. Jacques, English Hr. West, Mose Ambrose, Boxey, Wreck Cove, and Coomb’s Cove collaborated in some common activities but left each community to plan its own. St. Jacques is the eastern-most community. Twenty years ago the community hosted a similar event which by all accounts was a tremendous success. One can say with confidence that the 2012 event was just as successful. These types of events are poignant by nature; however, when one reflects upon the many faces whose smiles no longer meet our gaze twenty years later, the poignancy is accentuated. Though there were tinges of sadness, they were countered with many moments of joy, celebration, and discovery. The opening ceremony was a shared event where residents and visitors gathered on the local hockey rink in English Hr. West to meet and greet and hear speakers talk about the shared heritage of the six communities. This was followed by another gathering in each community. At the Community Centre in St. Jacques everyone danced well into the morning. It was a dance that broke the floor! The rest of the event was just as much fun! Families and descendants of former residents found their way back to the harbour to the delight of everyone. One family in particular received a lot of attention – the Fitz-Geralds. The great-grandson of Dr. Conrad Fitz-Gerald, a beloved and warmly remembered medical doctor who worked and lived in St. Jacques from 1901 to his death in 1939, arrived with his two adult children. This was the first visit of a Fitz-Gerald family member since the burial of their great-grandmother Keturah (Partridge) Fitz-Gerald in 1946. Needless to say their presence added to the excitement and celebrations. 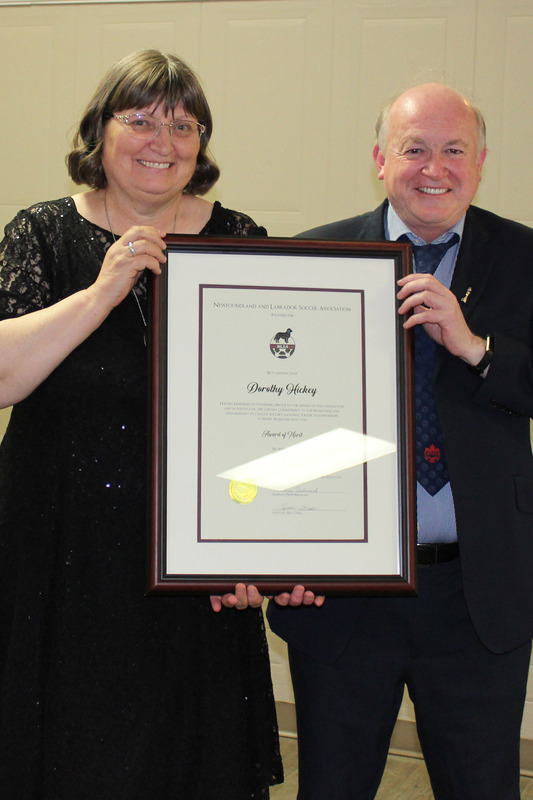 Mayor Max Taylor hosted a luncheon in the Community Centre for the Fitz-Geralds along with many local dignitaries. Their visit was also documented by the local newspaper, The Coaster in an article titled, Fitz-Geralds Visit Their Roots. The Fitz-Geralds were able to chat with a gentleman who had been a young patient of Dr. Conrad Fitz-Gerald and a lady who lived in the Fitz-Gerald residence atop Mount Pleasant after the ‘good doctor’s” departure. Returning for a second visit in less than five years was another delightful former resident, Jeanne D. Jeanne immigrated to Canada in the 1940’s where she worked and raised a family. In her heart there was always a corner where she stored her passion for St. Jacques. It is only in recent years that she was able to return and bring her children and grandchildren, to show them this mythical place she so often told them about. Though in her late 80’s she was able to take to the dance floor in the Community Centre and waltz to the rhythm of a well-known local song. Earlier in the summer of 2012 another family whose roots are embedded in the history of St. Jacques came to visit from Michigan in the United States, for the first time in almost a hundred years. Descendants of a marriage between two people from two of St. Jacques most prominent 19th century merchant families, the Burkes and the Youngs, found their way home. The eighty-four year old granddaughter of that union and her daughter spent several days exploring people and place, including an emotional visit to one of the old family houses which is still standing. 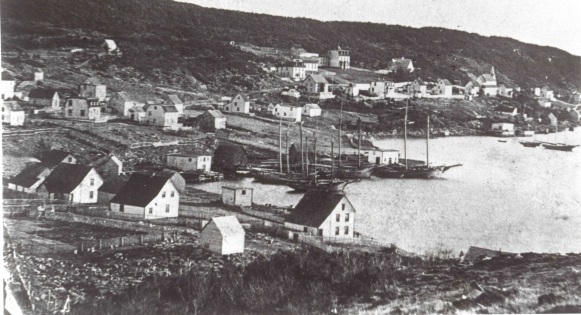 In the midst of the celebrations there arrived a lady, Isabel W., who at 86 felt as energetic and exuberant to be in St. Jacques as her husband Stillman who had driven for eight hours across the island of Newfoundland to take part in the celebrations. The first night they arrived Uncle Still, as he is known far and wide, celebrated his 88th birthday! For the second year in a row the Nickel Film Festival was featured during the Arts Festival. Short films by Newfoundland as well as Canadian filmmakers were featured at this event. Award winning filmmaker Ruth Lawrence of Blue Pinion Films, who was born in St Jacques, hosted the evening. There were hikes to Big Hill and to Louis’s Cove, dory races in the Barachoix, bonfires on the beach, family reunions, and endless backyard and kitchen parties. The event culminated in the three-day, 28th Annual South Coast Arts Festival held on a dedicated field in St. Jacques. Ask any family currently living in St. Jacques what their memories are of the 2012 Come Home Year and you will likely be regaled with stories of extended family visits; of events almost forgotten; of people whose names are known only from granite markers; and the suspension of most everyday life events to take part in a celebration of who we are, who we have been, and dreams of who we might become! A comment which will usually follows is that we should do this more often. Ask visitors about their memories and you’ll hear how there wasn’t enough time; how there were other people they would have liked to have seen; how they will come back again; and how we should do this more often. Read an article by Clayton Hunt of The Coaster who interviewed a number of people attending the festival on August 12th, titled Back Home Again. Behind all of this, transparent to most, are the volunteers who spend months, even years, planning the event. They tirelessly go about the arduous work of anticipating every detail and plan to meet every need; all the while giving up time with family, working longer days and stressing that all will go as planned. When visitors arrive they fade to the background, smile at the goings-on and take pride that they have done good! They are the one who make it possible for the rest of us to come home! Home is the place you grow old wanting to go back to; whether you left to escape youthful perceptions of its limitations or were forced by economic, social, or educational needs to seek life’s journey elsewhere. It is a place where, in our minds or bodies we travel to re-charge our cultural and emotional batteries; where we feel we first hoisted our sails; where, we are inevitably proud to say, we came from. The following is newsletter circulated to visitors to St. Jacques during its 2012 Come Home Year. I post it here for the benefit of those who missed the opportunity to visit. People have been living in this picturesque town since the early 1700’s, making their living from, and on, the sea. Its deep, protected harbour provided anchorage for many residents through the centuries. St. Jacques is a French name given before English settlement on the coast. Today, St. Jacques has a population of 131 with families whose extended members live around the world. Its presence lives in the hearts of thousands and is spoken of fondly every day. Residents of St, Jacques have left their mark on Newfoundland and Canada. 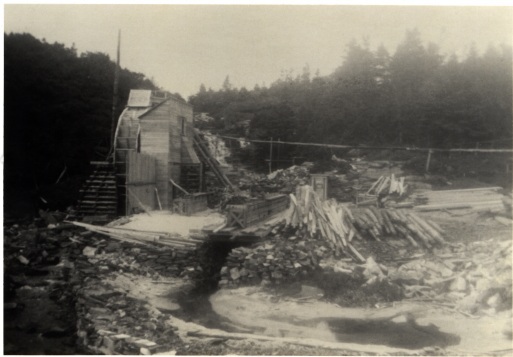 Dr. Conrad FitzGerald dedicated his life to the people of Fortune Bay; Dr. Vince Burke is known as the ‘father’ of Memorial University, and John McEvoy was one of the people who signed the Terms of Union when Newfoundland joined Canada in 1949. The list goes on and on. Tell someone you are from St. Jacques and you will likely hear, ”Oh, the home of the Marion”. If you haven’t heard the song, listen to Simani sing The Loss of the Marian. During this Come Home Year we hope you recapture a few treasured memories, meet old friends and make new ones. As you spend time with us, let us know who you are and we’ll do the same for you. We are glad you came back for a visit. August 5 – Sunday 7:00 pm – Looking Back at St. Jacques with Alex Hickey; followed by a Kitchen Party – bring your voice, booze or an instrument! Nine men from St. Jacques served in WW I? Twenty-five men and one woman from St. Jacques served in WW II? George Paul of St. Jacques was the youngest man ever selected for the Newfoundland Rangers Force? 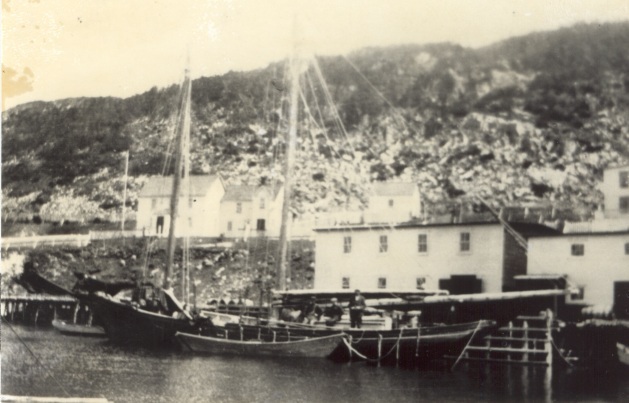 Captain Soloman Jacobs of Gloucester set a record for sailing from St. Jacques, Newfoundland, to Gloucester with a load of frozen herring in January, 1896 in 59 hours.